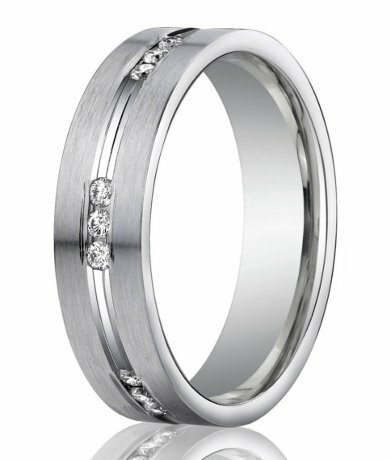 Handsomely luxurious, this designer platinum men's wedding band is anything but ordinary. Pure 950 platinum is adorned with 18 round channel set white diamonds nestled in groups of three on a polished center trim. 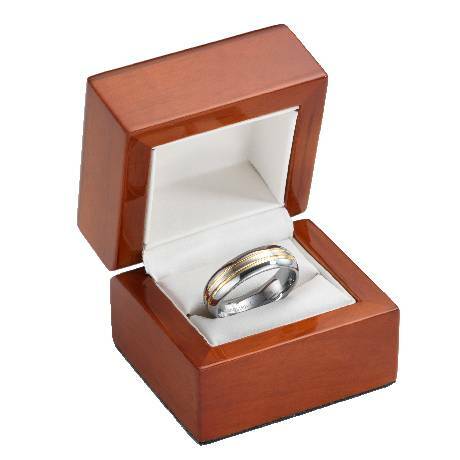 This satin finish 6mm comfort fit ring pairs the timeless beauty of platinum with durable and comfortable wear.